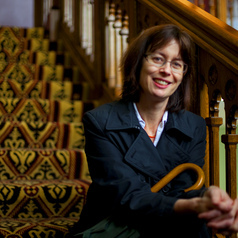 Julia Horne is associate professor in History at the University of Sydney. She has published widely on Australian cultural and social history including the history of landscape, travel and tourism, and the history of higher education. She is currently co-director of Beyond 1914--The University of Sydney and the Great War, an interactive website containing the personal records of over 2000 university men and women who served overseas. She has taught history at UNSW, worked as a curator in social history at the Powerhouse Museum, pioneered local history outreach programs and spent hundreds of hours interviewing people about their lives as Head of the Oral History Program in the UNSW Archives.